August 22, 2013 Conflict of interest cited as motivating factor for false reporting/non-treatment of injured animals. SHARK has filed two complaints with the Veterinary Medical Board of California against Tim Eastman, the veterinarian of record for the California Rodeo Salinas. The first complaint deals with his apparent underreporting of the number of injured animals, while the second deals with his lack of care for those same injured animals. In his report of injuries that is mandated by state law, Eastman stated that only three animals were injured. SHARK, however, video-documented twenty-three animals that had been injured during the rodeo. A video showing each of these injured animals has been published on YouTube. If Eastman allowed up to twenty animals who suffered visible injuries to go untreated, then his behavior caused them harm. If he did treat the animals, then his filing with the California Veterinary Medical Board was false. Either way, we believe he violated the law. SHARK has also discovered that Eastman’s ties to the rodeo may have played a significant role in him wanting to protect the public image of the rodeo by downplaying the cruelty present at the rodeo. According to the California Rodeo, Inc.’s 2011 IRS form 990, Eastman was not only listed as being on the Board of Directors, but that he had family members on the Board as well. The document can be downloaded HERE. Tim Eastman, Board Director and Veterinarian for the California Rodeo Salinas, seems to have cared more about the well-being of the rodeo’s public image than about the suffering of nearly two-dozen animals. That’s the brutal nature of rodeo. 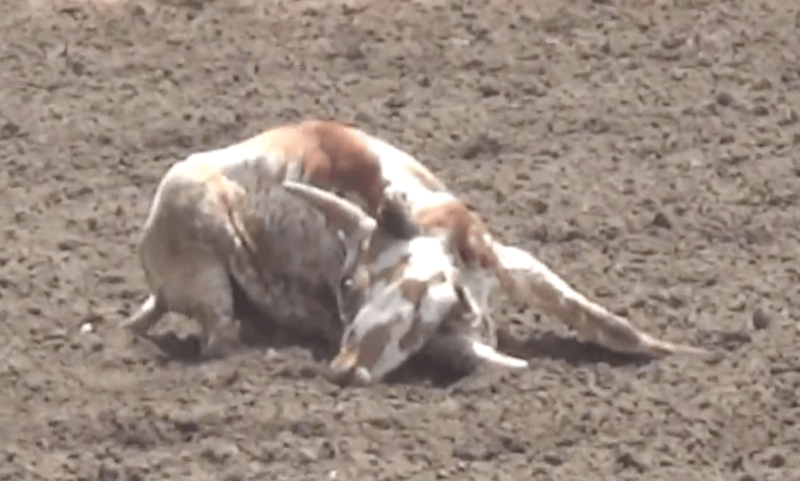 It is long past time that the veterinarians who whitewash rodeo cruelty are held accountable for their actions. California law requires that rodeo injuries must be reported to the California Veterinary Medical Board within 48 hours of the rodeo. Rodeo Veterinarian Tim Eastman reported THREE injuries. So why did SHARK cameras document TWENTY-THREE apparent injuries? On July 13, 2013, SHARK videotaped a horse tripping event held at the Harney County Fairgrounds in Burns, Oregon. 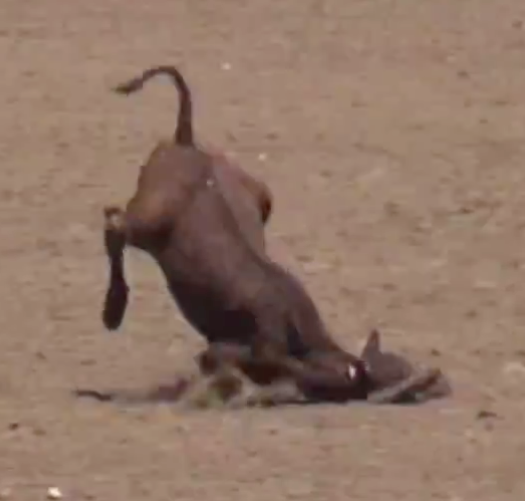 On August 3, 2013, SHARK published a video exposing multiple acts of horses having their legs roped and then crashing to the ground. The horses often struggled terribly to get back up. Again, and in spite of rodeo thugs’ attempts to stop us (that will be another video), SHARK filmed brutal horse tripping in Oregon. The only thing this video shows are horses being hurt at a public event. That the largest video sharing website in the world has declared that that footage is so disturbing that children shouldn’t see it fully exposes how violent and inappropriate rodeos are. They are not family entertainment. They are modern gladiatorial events where rodeo thugs brutalize innocent animals for the crowd’s pleasure.